Sarah Bahbah is one of our favourite photographers right now. 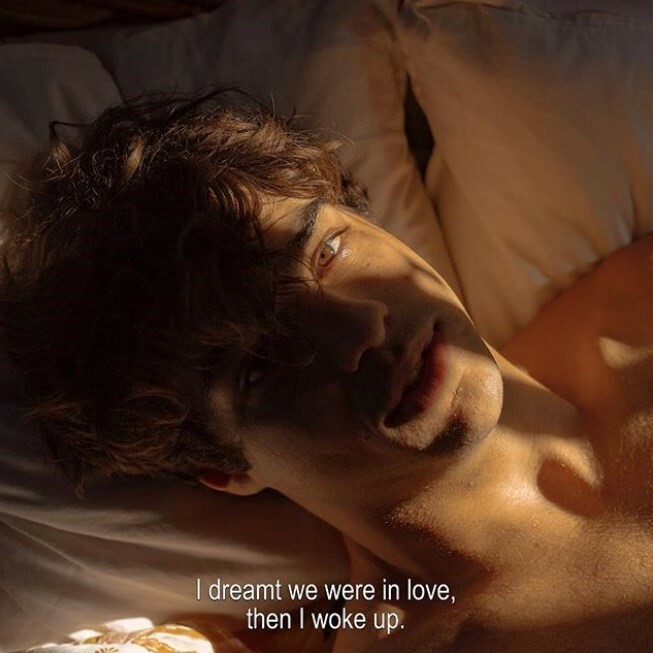 Noah Centineo, love interest of Netflix rom com To All The Boys I’ve Loved Before, is one of our biggest crushes right now. Put those two people together, and what do you get? Impeccably artful thirst traps. After a frutiful Instagram DM slide, as Bahbah told Teen Vogue, the photographer and actor met for coffee on September 14, and wound up shooting this photo essay two days later. Bahbah shared the first section of it on her Instagram last night, September 20. Titled Dear Love, the series is a softly lit, poignantly captioned, entirely shirtless portrait of longing. See the first part of the photo essay below.